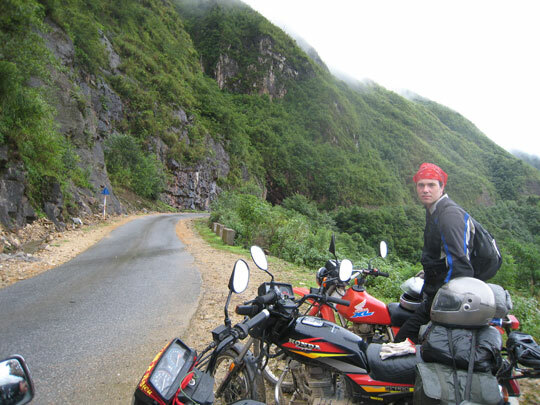 Vietnam motorbike tour to Ha Long bay and Cat Ba island. Ha Long bay is one of the most famous destination for tourists touring in Vietnam. Most of tourist go to the bay by car or bus from Hanoi and take a 2 day boat trip to see the small popular corner of Ha Long bay with the big caves and fishing floating villages. Ha long bay is about 1.500 square kilometers, It is big enough to choose a different and more suitable part to enjoy. 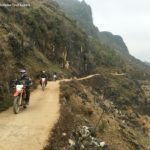 This great Vietnam motorbike tour to Ha Long bay and Cat Ba island is designed for tourist who wanna see Ha Long bay in different way and enjoy different bay with less tourists. This is one of our best north Vietnam motorbike tours; However it’s not suitable to the novice! At 8 AM, we motorcycle to the north east of Hanoi from city center, after 15 km riding we will take a visit to famous ceramic village of Bat Trang by taking a short walk around the village to see the daily life of the local people and learn more about how to make ceramic from the local. After that, we keep going to the northeast to Hai Phong city. We will arrive hotel in Hai Phong at 3 PM. We can choose to see some good attractions in the city or have rest in hotel. After breakfast in hotel, we will take a bus to the wharf and take a speed boat to Cat Ba island. We will be in the island one hour later and right after that we join another boat trip to discover beautiful Lan Ha bay and southern part of Ha Long Bay. Sea food lunch is on the boat. All the day you can be lazy on the sun desk, do swimming at some nice beaches without tourist. See the floating fishing villages or do kayaking through some stalactite caves. We will be back to Cat Ba island in the late afternoon. Overnight in hotel – Cat Ba. Day 3: Discovery Cat Ba island. 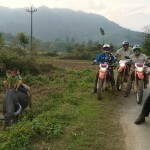 After breakfast in hotel, we will have a short but great motorcycle tour around Cat Ba island. (Cat Ba is the largest of the 366 islands spanning 260km2 that comprise the Cat Ba Archipelago, which makes up the southeastern edge of Ha Long Bay in Northern Vietnam. Cat Ba island has a surface area of 285 km2 and maintains the dramatic and rugged features of Ha Long Bay. It is commonly used as an overnight hotel stop on tours to Ha Long Bay run by travel agents from Hanoi. 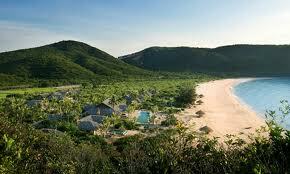 This island belongs to Haiphong city – the most famous city of industry in Vietnam. The motorbike ride will offers you some peaceful villages located between the National park and the ocean and some beautiful caves. We should finish the motorbike tour at noon at the hotel in order to spend another half day at some beautiful beaches nearby hotel. Overnight in Hotel – Cat Ba town. Day 4. Boat trip back to Hai Phong and motorcycle tour back to Hanoi. Free in the morning until 10 AM take a short walk to the speed boat wharf and then spend one and a half hour on the boat. After getting on Hai Phong city, let’s go straight to the restaurant for lunch and then get the bikes to ride back Hanoi. We will finish the great Vietnam motorbike tour to Ha Long bay and Cat Ba island at 4 PM in Hanoi.